Take a close look at the solar industry, and it’s clear that things are moving in a positive direction. Interest in clean energy is growing at an impressive rate, and for good reason. California News has reported strong job growth rates in the clean energy industries, and the market is expected to grow by 17% this year. The Solar sector alone has had a 16% increase in jobs since 2013, indicating a shift in how we view where our energy comes from. If you’ve been considering going solar, now is the time to get things off the ground. As we look toward the future and continue to embrace solar energy and home energy efficiency, the benefits of making the switch will only continue to grow. The sooner you can jump on board, the more you have to gain from making the switch. 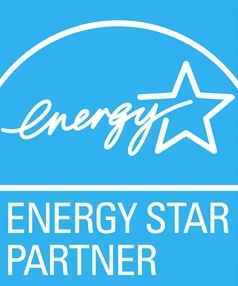 California Energy Services is proud to help our customers move towards clean energy in their own homes. With every solar installation, we take great care in ensuring that we meet the individual needs of those we serve, regardless of how large or small the project may be. Your home is unique, which means a tailored solution is the only way to ensure you’re getting what you need. We’ll conduct a full solar analysis and go over financing options with you so that you don’t feel in the dark about anything. Understanding each step of the process will allow you to rest easy knowing that you’re moving in the right direction. Solar education is something we highly value and make a priority when helping our customers go solar.